Beads set with sparkley crystals. Diamonte Rondelles There are 15 products. Diamanté beads blue. Pack of two. 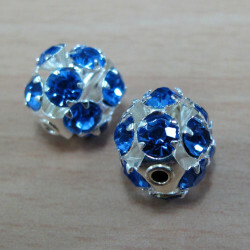 RN1045 - Diamante beads blue. Pack of two. Approx 10mm. Very pretty. 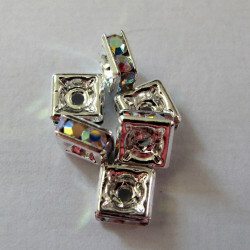 6mm clear AB diamonte rondelles. Pack of 6. 8mm clear AB rondelles. Pack of 6. Crystal centre piece kit with diamante rondelle. 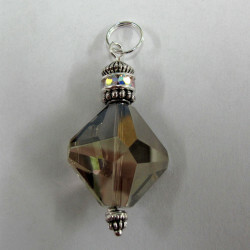 This has a smokey quartz coloured glass crystal and a pretty AB crystal rondelle. One for a pendant or two for dramatic earring drops? RN8550 - Diamonte square rondelles. Pack of 6. Approx 5mm. clear stones. 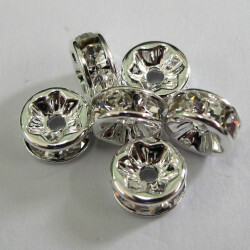 8mm Diamonte Rondelle, Clear Crystal. Pack of 6. RN8001 - Rondelle with clear stones. 8mm. Pk of 20. Diamonte, square rondelles pink, pack of 6. Diamonte, Square Rondelles, Approx. 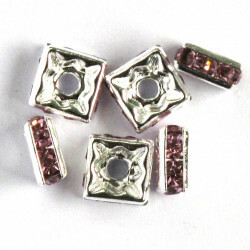 5 mm Square, Pink Stone, Pack of 6. 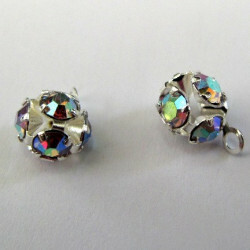 RN1200 - Sparkling rhinestone balls. Pack of 2﻿. 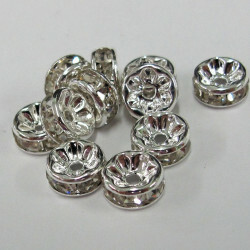 These are only 6mm diam but pack a big punch of sparkle. They have top loops for hanging. Diamanté beads, pink. Pack of 2. 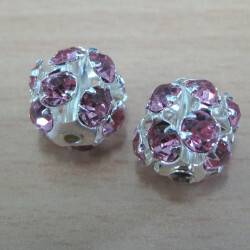 RN1046 - Diamante beads, pink. 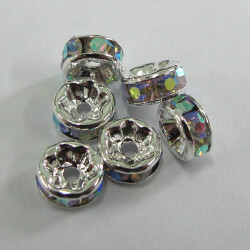 Pack of 2.﻿ Approx 10mm diameter. 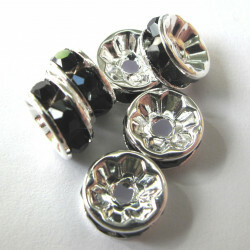 A popular bead! 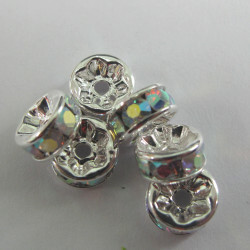 Suitable for shamballa style bracelet. Turquoise blue 8mm silver col rondelles. 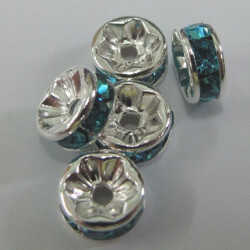 RN8560 - Turquoise blue 8mm silver col rondelles.﻿ Pack of 5.